Hello, friends! 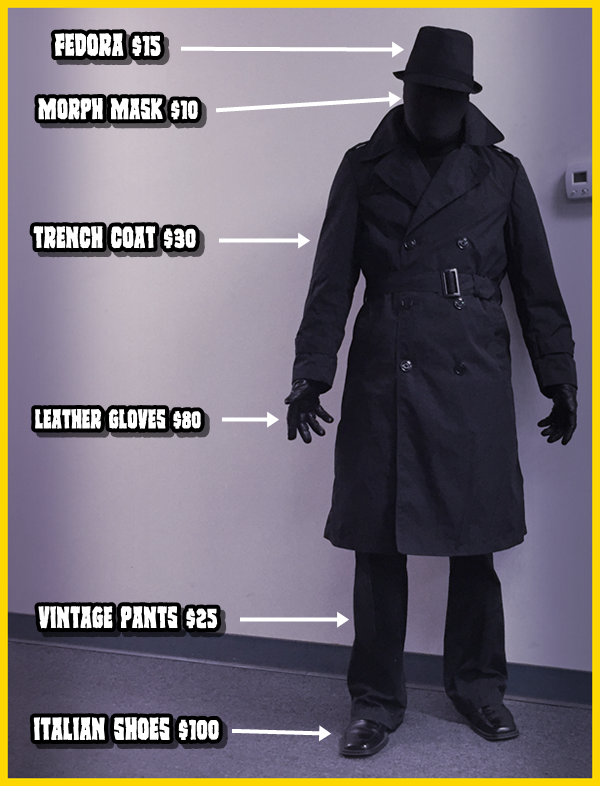 Our last TORSO KILLER tutorial was received so well...that we decided to give you another relatively affordable alternative for your GIALLOWEEN costume this season! This time...we are taking it back to the original killer from Blood and Black Lace! The Girl Who Knew Too Much is always cited as the very first giallo film...and while I would agree with that bit of trivia...I would say that Blood and Black Lace is the Mario Bava film that truly created the blueprint of what we know giallo films to be. In particular...the film's killer! How many times has that specific look been emulated in much of the gialli to follow? Hell...even Argento's debut film featured a killer that looked quite a bit like Bava's did. Just a few minor adjustments to Argento's look. But, the look was pretty much the same. 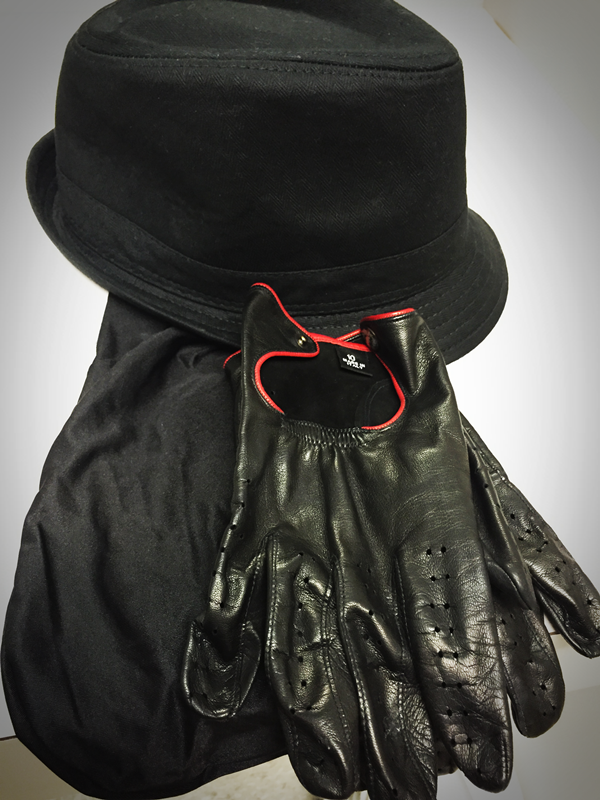 Black trench coat, black leather gloves, a black fedora...and an obscured face. 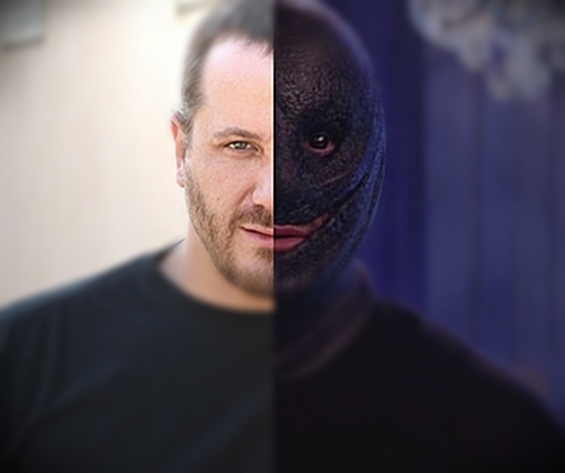 That obscured face part was later duplicated in countless other gialli throughout the years...and I might even be so bold as to add to the argument that it is what helped shape the slasher genre into what it is today. 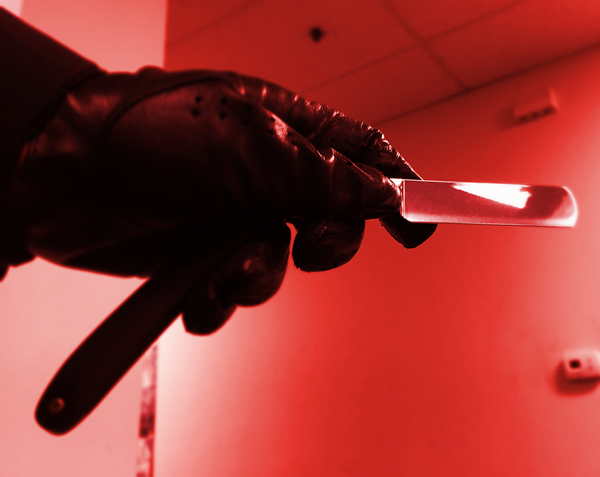 Even the killer's choice of weapons in the film is unique in design. 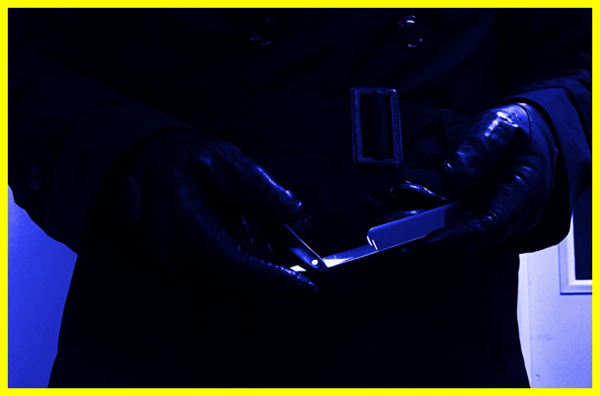 From the crazy bear claw weapon to the simplicity of the straight razor...signatures of the genre. Sometimes...the killer utilizes absolutely bonkers weapons...and sometimes it is all about the basic blade. Blood and Black Lace truly shaped an entire genre of films. So, tonight...I'm going to help you put together your very own costume honoring the elegant look of the killer from Blood and Black Lace. Of course...I'm a lunatic...so, it took me months to get the look just right...however, I will give you options to keep it affordable and basic. 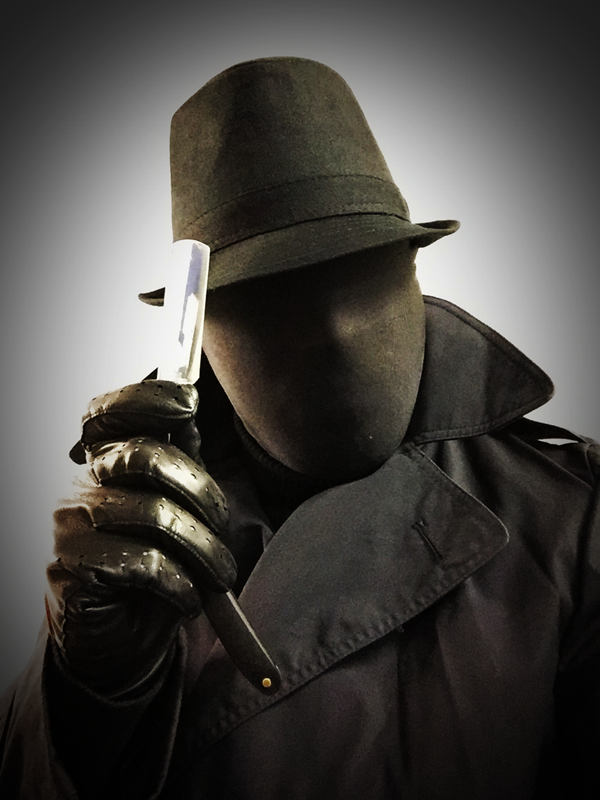 My first task was to find just the right trench coat that both honored the original look...and also felt authentic and not like an obvious costume. I really needed the entire look to feel like I could actually go out one night and murder fashion models...should I feel compelled to do so. I decided to skip the costume stores and instead began my search with vintage shops and thrift stores. I found one particular trench coat for about 15 bucks...however, I was not happy with the fit of it...so, I took the liberty of going to a tailor to obtain my true measurements. Then, I scoured eBay (my usual source for just about everything) and found a vintage London Fog coat in my true size selling for $30. So, I snagged it. Then...it was on to the gloves. I needed these gloves to be Italian...because...well...I'm crazy. But, also because I wanted for this costume to feel as authentic as possible. Again, I found my black leather gloves on (where else?) www.leatherglovesonline.com. The gloves that I was looking for needed to purr. So, of course, they were a bit on the expensive side. Normally, one would go with some generic gloves from the dollar store...however...I needed mine to purr. I found a pair for $100. Luckily, I had a coupon...so, I got them for 80 bucks shipped. I paired the Italian leather gloves with the Italian shoes that I already owned (the ones from my Torso Killer costume). Next up was finding the right pair of pants. I went with a pair of black vintage pants from the early 70's that I found on Etsy for $25. These particular pants were nicely flared and I felt they were more of a homage to gialli from that time period rather than Blood and Black Lace's 60's era. This was a personal decision. Speaking of personal decisions, I made the choice to go with a black mask...rather than the white/greyish one from the film. Again...this was a personal decision as I felt the need to customize the outfit a little. I found a black morph mask on eBay for 10 bucks. A no-brainer. There are white/greyish ones out there that perfectly emulate the look of the film for purists. I dunno...I just felt like the black one looks way more menacing. From the mask...my next step was the fedora. I needed something simple...and effective. I tried my best to not over-think this step...and ended up finding a nice one from Target, of all places. I paid $15 for my new black fedora. I actually love the look of this hat...as the brim is slightly smaller than a traditional one. I feel like it adds a much sleeker appearance than one with a bigger brim would. Looking back on everything...the priciest purchase were the black leather gloves...but, I simply needed to own the right ones. In all Honesty...you could find a decent pair for around 20 bucks. Again...I'm crazy. But, I am completely ecstatic with the final look. This will certainly be my main look for this GIALLOWEEN season. Here's a look on how everything broke down, price-wise. Again...one could certainly tailor the look to one's own budget...so, there's really no need (unless you are a psycho like me) to spend so much on the gloves and shoes. Having said that...there's really nothing in the world like the purr of a nice pair of leather gloves. I am really happy with the final result. I may actually break down and get a white/greyish mask...just to complete the authentic look from the film...and make it less So Sweet, So Dead...and more Blood and Black Lace. Also...I think I might try my hand at creating a medieval bear claw weapon like the one used in the film. Even so...I'm pretty much ready to start stalking fashion houses in the area. What do you guys think? Do you have any suggestions on your own concepts? Please let me know in the comments below. Listen...Blood and Black Lace is one of the absolute best cinematic experiences one could ever hope to have in front of a screen. It is soaked with all the traditional elements that the genre is known for...because, well, Bava created the blueprint for the genre with this film. 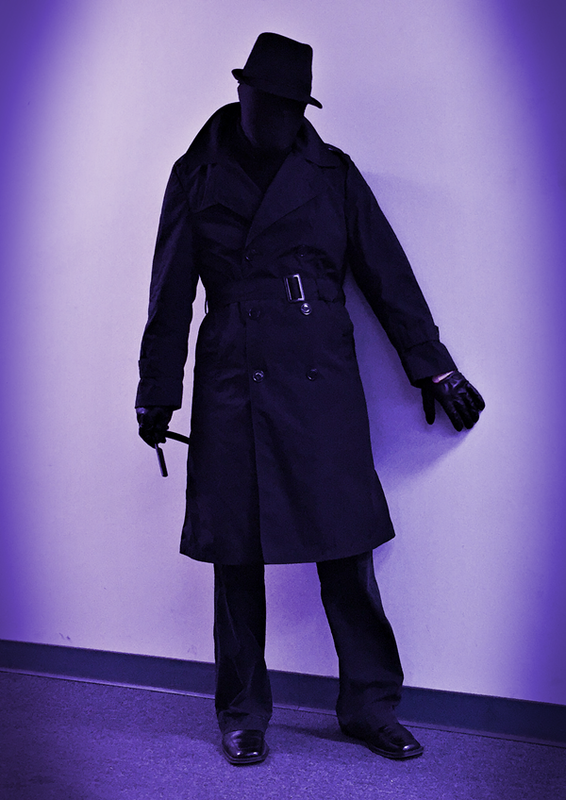 If you go out on Halloween wearing this outfit...you will most likely get asked if you are dressed as Rorschach from the Watchmen...or if you are some weird pervy dude with a trench coat. No one will understand. Until you come across the one person that truly understands your costume. That is a person that you want to make a life-long friend with. Because that person understands what a higher form of filmmaking is. The Italian way. "Perhaps the sight of beauty makes him lose control of himself...so he kills."